When I took photo workshops I was taught to give your client around 30 proofs… never more than 50. Well, they obviously have never taken pictures of a baby as cooperative, happy and cute as Miss Kenzie. Narrowing her proofs down to 50 was pretty much impossible for me, so they got almost 100. 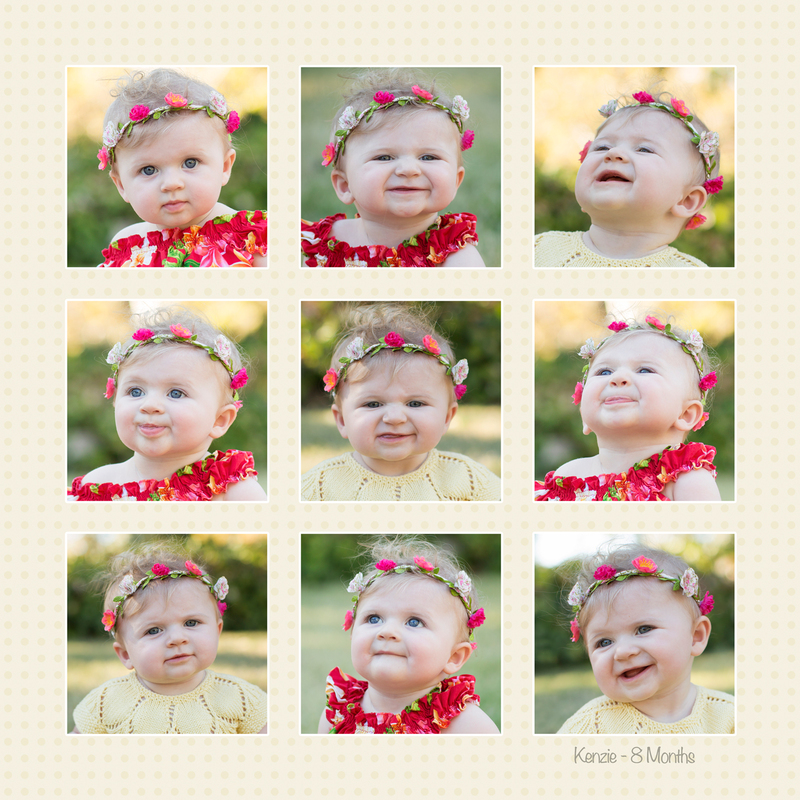 Here are some close-ups of the many adorable faces of my Great Niece, Kenzie. OH MY GOODNESS! Love her! I love her! Thank you for including her on your blog! She is so darn cute! You did a great job as did John & Christy!! Renae is right. How will I ever pick just one or 5 or 10 to blow up for my wall!